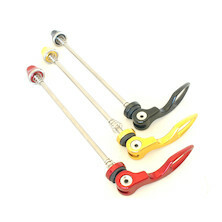 Holding your hub solidly in place, but unlocking it from the frame or fork without any tools is a tough prospect; and the humble quick release skewer does a stirling job. 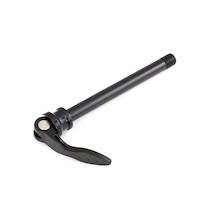 Resisting torsion and vibration forces as well as corrosion from the mud, rain and road spray; these hi-tech central axles generally use a lever operated rocker-cam system to close tightly. 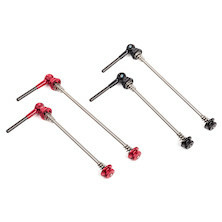 We stock a range of skewers made from steel, alloy and titanium in a range of colour options. 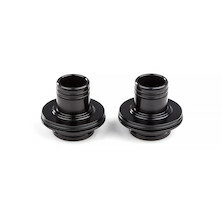 Perfect, easy upgrades, and the ideal gift for any keen cyclist too!